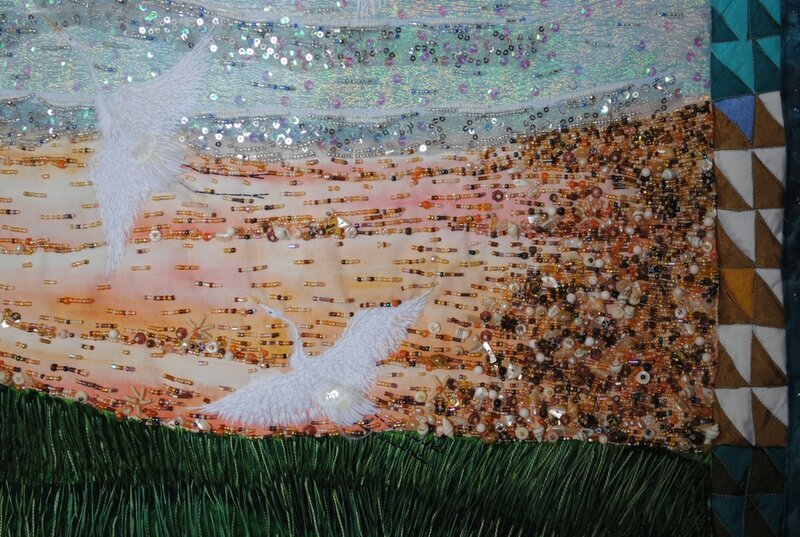 This piece was inspired by many hours spent at The Audubon Canyon Ranch near Stinson Beach, California. The birds return each year to nest there. The sight of the many egrets and herons flying above the canyon is something I could never forget. They fly gracefully out over the nearby shining bay and ocean. The piece is constructed of whole cloth painted and embellished cotton, with some fused overlay of chiffon. 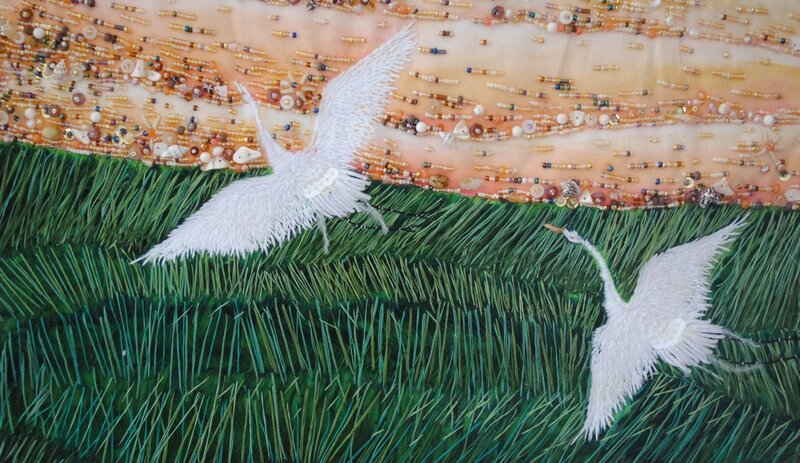 The birds are hand embroidered and embellished. The sky is hand painted over hand dyed fabric. 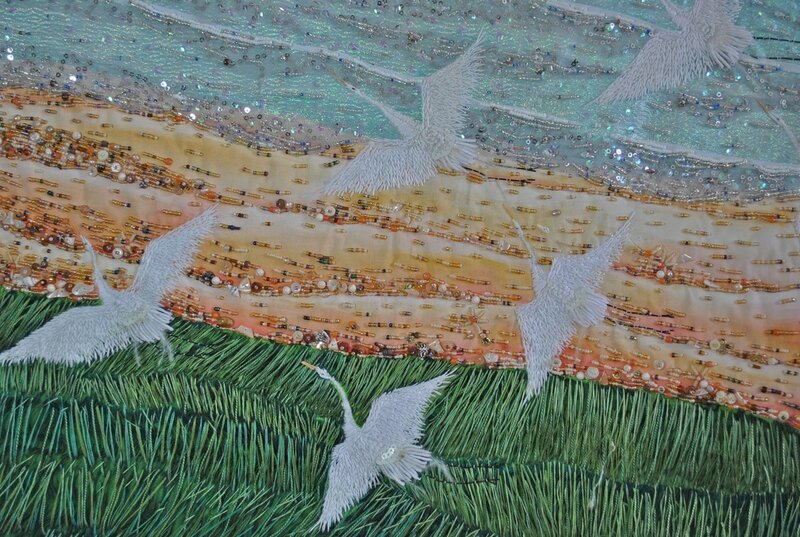 The sea grasses are manipulated hand dyed chiffon with over embroidery. ​It is all hand beaded and embellished.